Under U.S. copyright law, you have a copyright as soon as you make a fixed, tangible copy of your original work. In the case of a book, for example, ideas are not protected while in your head, but once your work is written down, copyright exists. Copyright protection can extend to any expressive elements of the written work, including plot devices, setting, tension and characters. U.S. copyright laws give owners a bundle of rights, including the exclusive right to reproduce or copy the work. If you use someone else’s work in your book, you may be infringing on a copyright. When in doubt, get permission. 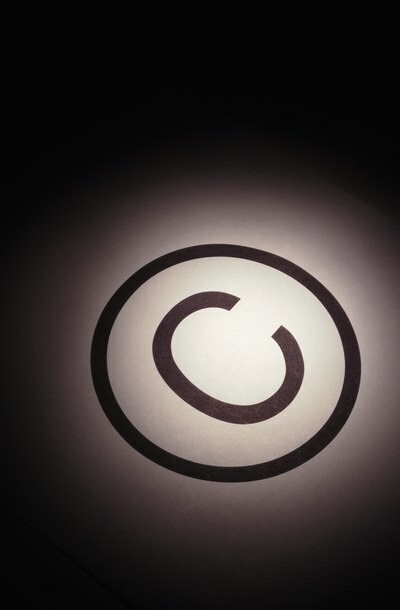 The copyright owner may be the author or sometimes the publishing company. If you know who the copyright owner is, contact the owner directly. If you do not know who the owner is, you can contact the U.S. Copyright Office to conduct a search for you or conduct your own search on the website or in person. You can call the owner, but follow up with a letter containing specific information about the materials you want to use and the how you plan to use them. Be sure to get your permission in writing. Under the fair use doctrine of U.S. copyright laws, you can use limited portions of a work, including quotes, without permission for certain purposes such as book reviews, classroom lessons, scholarly reports and news reports. What qualifies as fair use depends on the circumstances and is decided on a case-by-case basis. Distinctions between fair use and infringement may require the advice of an attorney. If the copyright for a work has expired, the work is considered to be “in the public domain,” and you can use that work for free, no permission necessary. In the U.S., copyright on any work created on or after January 1, 1978 lasts for the life of the author plus 70 years. If the work is made by or for a corporation — work for hire, anonymous or pseudonymous works — copyright lasts 95 years from publication or 120 years from the date of creation, whichever is shorter. Copyright status of works created before 1978 depends on whether and when the work was published and registered and certain other formalities. If you're not sure, check with the copyright office. A work does not have to be published or registered in order to be copyrighted. Unconscious appropriation (unintentional copying) is not a defense to copyright infringement.